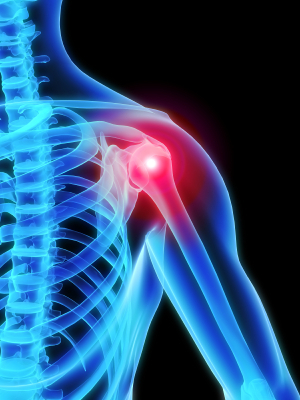 Some of the common shoulder injuries include impingement, rotator cuff tears, labral tears, bicipital tendonitis, and myofascial pain syndromes. Often times, people experience shoulder pain as a result of muscle imbalances or thoracic/scapular dysfunction. The doctors of the Boise Spine Center treat the majority of shoulder conditions. Full-thickness rotator cuff tears and labral tears often time require surgery, and the doctors work with fantastic shoulder orthopaedists and other sports medicine doctors when referral is needed. The majority of other shoulder conditions require targeted exercises and myofascial release therapy to restore proper shoulder joint motion, all of which are provided at the Boise Spine Center.